If you’re not tech-savvy, the idea of editing videos probably makes your palms sweaty, knees weak, and arms heavy. Maybe even some vomit on your sweater (Mom’s spaghetti?). The worst part of video editing is how ridiculously expensive the software is and the advanced level of expertise required. But today, we’re bringing you a tool that even I (and that’s saying a lot) can use to edit videos: Filmora. Filmora is a powerful editing software that lets you easily create amazing, high-quality videos like a pro. With an intuitive design, anyone—and we really do mean anyone—can be a video editing wizard. Filmora gives you all of the editing tools you need to make your videos so fresh and so clean, such as 4K editing support, noise removal, precision speed control, picture in picture, audio mixer, green screen, 3D lookup table, video stabilization, background blurs, auto crop/resize, and more (if you can believe it). And that’s just scratching the surface! 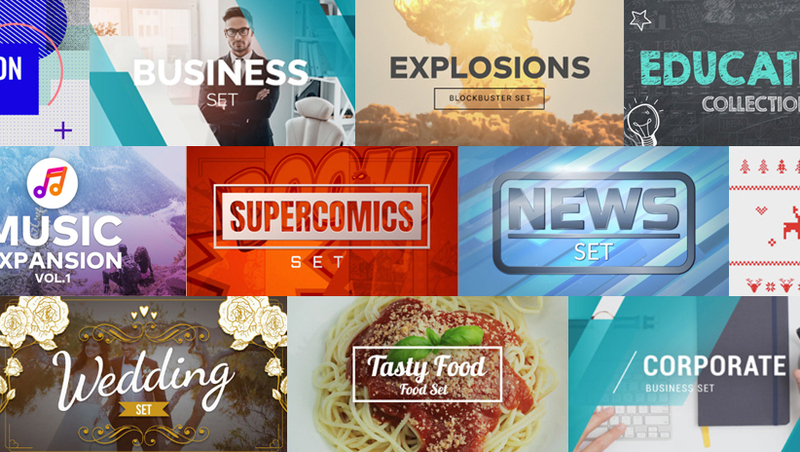 Within the wonderful world of Filmora, you can find tons of stunning effects in Filmora effects store. In just a few clicks and a little draggin' and droppin', it's a piece of cake to turn your work into a piece of art. 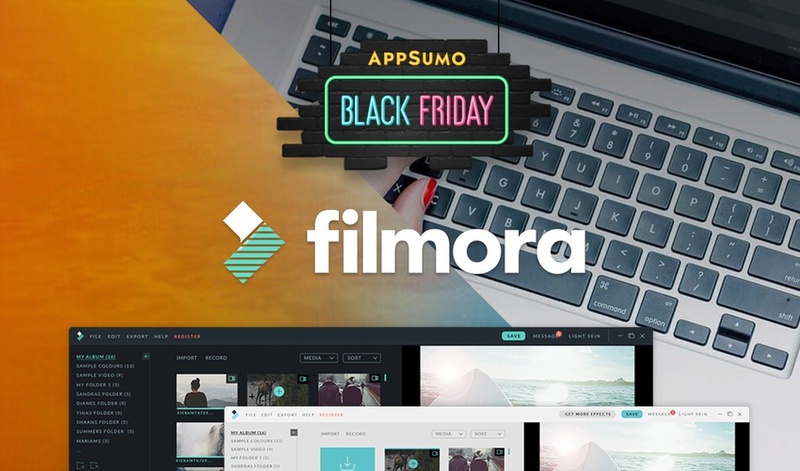 Today’s Black Friday deal is for 5 Filmora Business Exclusive Sets. Usually, 5 Business Exclusive sets would cost you $630. However, while we recover from our food comas, you can get all 5 sets for just $49! Get this fantastic video editor now! Sumo-lings, you've been telling yourself that this is the year you'll finally start making engaging video content. And this is the universe giving you the perfect opportunity to get started! Get lifetime access to Filmora now! SocialBee: Schedule posts, grow a following, and automatically engage with your audience through one killer tool. Access is normally $1,764, but you can gran lifetime access for just $49! lemlist: Automate outreach campaigns and drive conversions and responses with personalized images. Access to the Gold Plan is usually $1,224, but you can get lifetime access for just $49! Depositphotos: Get access to a library of 80M+ of the best stock photo images available on the world-wide-web. Each code is $49 and gives you 100 royalty-free image and vector downloads, and there's no limit to how much you can stack.